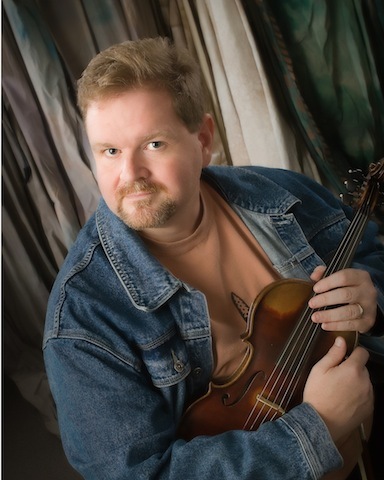 From Isonville Kentucky, to an international following in bluegrass music, Don Rigsby has remained true to his mountain roots and has made his mark as a powerful tenor and distinctive mandolin player. Don emerged on to the national scene as a member of The Bluegrass Cardinals, played with JD Crowe and The New South, and was a member of the award-winning Lonesome River Band. The two-time Grammy nominee and two-time SPBGMA Traditional Male Vocalist of the Year shared three IBMA Awards while performing with Longview and sang on a Grammy-winning album by rocker John Fogerty. A sought after producer, session musician and singer, Don has released five solo albums. Don grew up listening to early Ralph Stanley records and to the high lonesome sounds of his cousin Ricky Skaggs, learning from those who went before him and then adding his own personal touches. Also influenced by the late Keith Whitley, another Elliott County native, Don comes from a family and community of traditional musicians. It has been a dream of Don’s to visit Australia for a long time. He’s very much looking forward to teaming up with the Davidson Brothers as his band on his very first tour Down Under. Of course Don Rigsby has been brought to Australia as the 2013 feature artist for the inaugural MountainGrass Festival in Harrietville from 22nd to 24th November. MountainGrass is an Australasian Bluegrass and Old Time Music Association. The festival is being staged across several Harrietville venues including the Feathertop Resort who are a major sponsor of the music weekend.